The History of "Hotel California"
“Hotel California,” The Eagles’ intricate rock ballad, is widely included among the greatest rock songs of all time. Ostensibly the story of a luxury hotel visit that takes a sinister turn, “Hotel California’s” dark themes and images of violence, debauchery, and illusion continues to mesmerize the listening public. Equally memorable is the song’s music; the dueling guitar coda between Don Felder and Joe Walsh has been named the best guitar solo of all time. The originator of the “Hotel California” solo, Don Felder, performs live at State Theatre New Jersey on October 20! The music to "Hotel California” took shape in a surprisingly idyllic setting. On a spectacular July day in Malibu, the chords effortlessly fell from Don Felder’s acoustic 12-string guitar. The song was a unique synthesis of styles, a type of reggae, different from any music that was playing on the radio at the time. The song, titled “Mexican Reggae” during the early working sessions, would later be named “Hotel California” and recognized as “one of the songs that shaped rock and roll” by The Rock and Roll Hall of Fame. 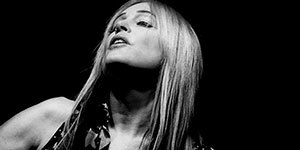 Rich lyrics, both introspective and allegorical, were written to match the song’s intricate guitar work. Multiple theories emerged to determine what the hotel’s long and twisted corridor represented—from a mental institution to drug addiction to cannibalism to a tribute to Satan. Ultimately, the song is an allegory about the decadent and self-destructive lifestyle that seduced The Eagles. The song has since become synonymous with excess and the dark side of the American dream. The Eagles' landmark album, Hotel California, was the band's fifth and most successful studio effort. The album sold more than 30 million copies worldwide. The album drew equal measures of critical and commercial success, affirmed the band's evolution from relaxed country act to Rock and Roll powerhouse, and solidified The Eagles as one of the most popular and influential rock groups of all time. British art director (John) Kosh, the man responsible for the Beatles' memorable Abbey Road album cover, captured the disturbing allure of the allegorical Hotel California for the album cover. The grainy image of the Beverley Hills Hotel on Sunset Boulevard, taken as the light began to fade moments prior to sunset, is one of the most recognizable album covers in rock history. Songwriter-guitarist Don Felder’s career is a storied, four-decade-plus sojourn through rock and roll. A four-time Grammy® Award-winning artist and member of The Rock and Roll Hall of Fame since 1998, Felder has had a long and successful music career, changing rock history during his 27 years as the lead guitarist of The Eagles and continuing to captivate crowds a solo artist. Growing up in Gainesville, Florida Felder befriended, performed with, learned from, and taught future rock legends including Stephen Stills, Duane Allman, Tom Petty, and Bernie Leadon. He played a critical role in The Eagles’ transformation from conventional country-influenced music towards harder-edged rock. Felder's songwriting and electric and slide guitar work brought a tougher approach to the band's sound. According to Don Henley “(guitarist) Don Felder was part of the edge” that enabled The Eagles to evolve as song writers and musicians, elevating The Eagles’ music and ultimately launching the band to superstardom. Felder is recognized for his lyrical, distinctive signature guitar work on “Hotel California,” “One of These Nights,” “New Kid in Town,” and other Eagles hits. In addition to “Hotel California,” Felder wrote the unrelenting "Victim of Love," and “Those Shoes” to showcase a harder rock sound for the band. A true entertainer and a legendary guitarist, Felder commands the stage as a solo artist. He continues to write Rock and Roll hits and brings energy and emotion to his guitar work. 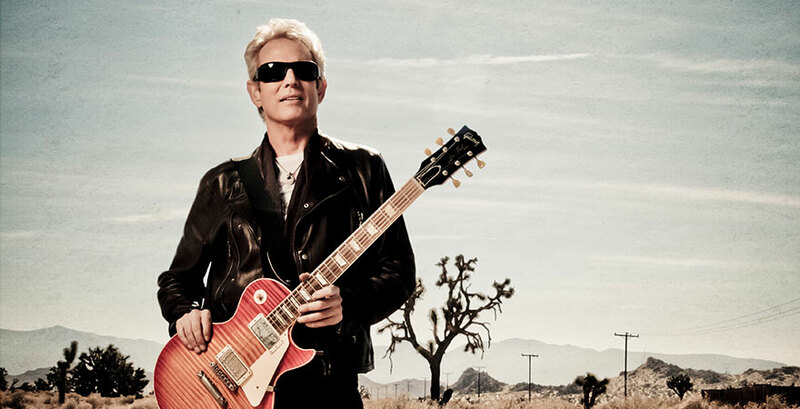 Current hits from his 2012 solo album Road to Forever include the hard-rocking title track, “Girls in Black,” and “You Don’t Have Me,” as well as the melodic ballads “Heal Me” and “Wash Away.” Don’t miss the opportunity to see Don Felder, a true musical craftsman, as he showcases his skills as a both musician and songwriter when he performs at State Theatre New Jersey on October 20 at 8pm!